A number of boats will be cruising over the holidays. The following is an indication of locations. The booking was made for 47 persons for 1:00pm Saturday. The Fish Cafe is a BYO, so organise your own refreshments. The plan for arrival at La Perouse by 1200 nearly went without a hitch. Unfortunately Weid's arrived 24 hour late. I hope he enjoyed a quite lunch? It was perfect weather and the boats sailing had a window of about 2 hours with a light offshore breeze which changed to the NE at 1300 (as it should). We all made our way to our tables at 1300 hours. The food and company were impeccable. Some yachts returned that evening, but L'attitude, Eureka, Possible Dream and Chinook stayed the night and had a very pleasant night and run back after breakfast. Saturday the 11th December dawned to a beautiful blue sky and a very slight breeze just the perfect day for the sail to Botany Bay. 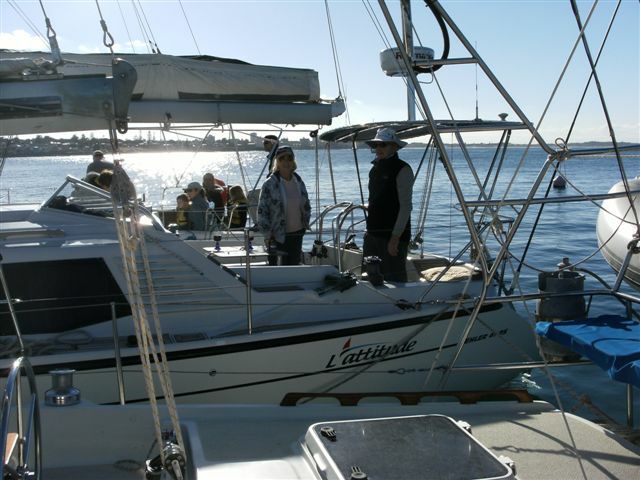 We motored out of the Port and put our sails up but unfortunately the breeze was dropping a so we did the same with the sails and motored our way to our anchorage in Botany Bay. 10 Boats sailed up and anchored in the bay and went ashore to the Boat Shed Restaurant where we joined the Land Cruisers for a delightful lunch. I think this is one of our biggest events as there were about 50 people for lunch. We managed to successfully take over the restaurant and even had the Manager bowing to “The Master”. We sang a great rendition of Happy Birthday to Elizabeth Galway and The Master gave us a rundown of the years activities. We managed to entertain ourselves until about 5.30 when we had to leave to allow the restaurant to close. We all headed for our modes of transport and after all departures were completed there remained four yachts at anchor. 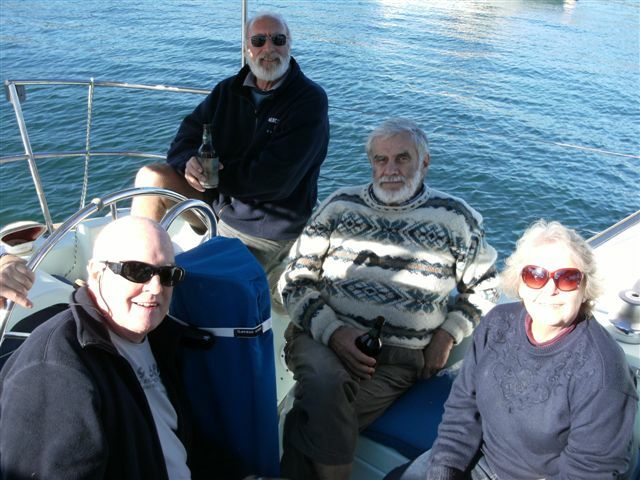 The Captains and crew rendezvoused together on Chinook for “Sundowners”. We woke the next morning to clear skies, no wind and a perfect day to motor back to our home moorings. Once again a great event and I am sure we will all love to do the same again next Year. Libby. SORRY - BROADWATER CLASSIC CANCELLED DUE TO POOR WEATHER FORECAST. 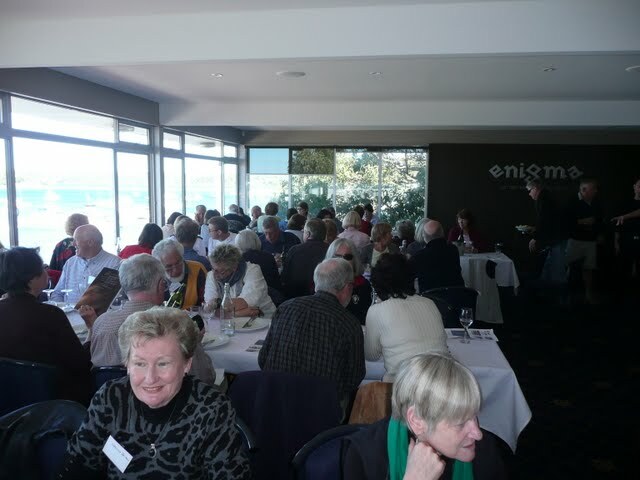 The weather was picture perfect and the dining room at the R.M.Y.C was filled to capacity with our own Cruising Members and our friends from R.M.Y.C Broken Bay. We all enjoyed a beautiful lunch before heading down the Walk Way to our mode of transport "The Tom Thumb III". With Blue Skies above, calm seas below and a full boat we headed out to show our friends why we love living on the Port Hacking. All the best laid plans of The Master sometimes get out of sequence (Luppo! ) and so instead of heading for Jibbon to start our cruise we headed up into Burraneer Bay and up into the far reaches of the Audley Weir. The Master with the help of some friends kept us all informed of where we were and the history of the area. Tea and Coffee were served along with a nice cold beer, white wine or a glass of red and so we spent the next 3 hours enjoying great company, great vistas and lots of stories. 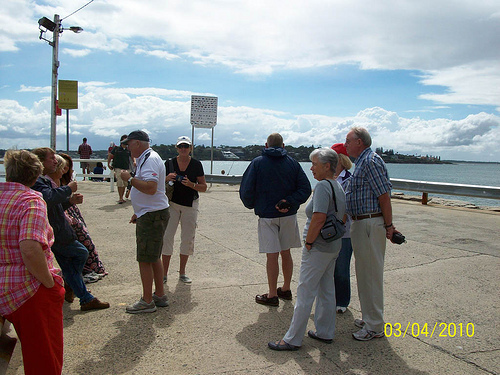 We all arrived back at the R.M.Y.C at about 5.00 and all agreed that it had been a most successful day and our friends from Broken Bay assuring us that they would be down to visit again in the near future. Computer models show the strong wind late in the day. If we leave by 1400hrs we should be back before the strong wind and in time for the tide to return home. Suggest we listen on VHF CH73 at Jibbon at 1100hrs. If all skippers OK we go, if not we adjourn to SW arm. The idea will be to muster at Jibbon and then sail as a group to Providential Head. New yachts requiring assistance will be allocated an experienced yacht to assist. Hi John, Thanks for organising Wattamolla trip yesterday. Would you believe on our return a whale popped up beside us about 30 metres away!! just off Marley beach. After weather forecast all week was for rain and strong winds the morning of the Whale Watch dawned with crystal clear blue skies and very little wind. The perfect Sydney Winters Day. L'attitude, Possible Dream, Reflections, Sweet Chariot, Hands Off, Chinook and Korvanton set out from Jibbon to chase the elusive Whale. Most headed south but Hands Off and Korvanton headed north where they were rewarded with a sighting off Cape Solander. Hands Off took many photos as the Whales were very close. Snapping several photos, Don knew they were going to be “spectacular”. until he realised that the memory card was still on the table at home !!!! So now Don’s sighting has been committed to human memory only. There was almost no wind and the seas were calm so although the Whales were a little scarce in the South the day was perfect and it was a great couple of hours in the sunshine. The boats all rafted up at Jibbon Beach and lunch was served and washed down with a couple of cold ones, champagne and red wine. As the sun started setting in the west we all headed home having enjoyed great company and fantastic weather. Program: A whale watch search and return for mid afternoon (late lunch) raft-up. The current location for the raft up is Jibbon Beach (Seas a bit choppy for Boat Harbour). I suggest we venture south initially and move north as far as Cape Solander. Please listen and call on VHF 16/73 for updates or sightings. Whales require 'personal space', and harassment may severely stress them – possibly causing accidents both for humans and whales if the whales feel threatened. This is especially important in the case of the adults with calves, which may be either resting or suckling. Research has shown that whales are highly sensitive to engine noises. All whale watching yachts are to keep within the guidelines set down by National Parks. 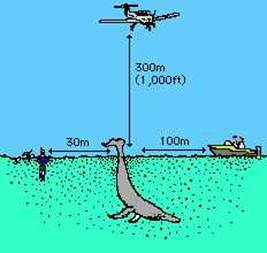 This means that we must not go within 100m of the whale (or 300 if with calf) and do not disturb their migration. Work out how much power you need, learn how to store it, and then how to use it. 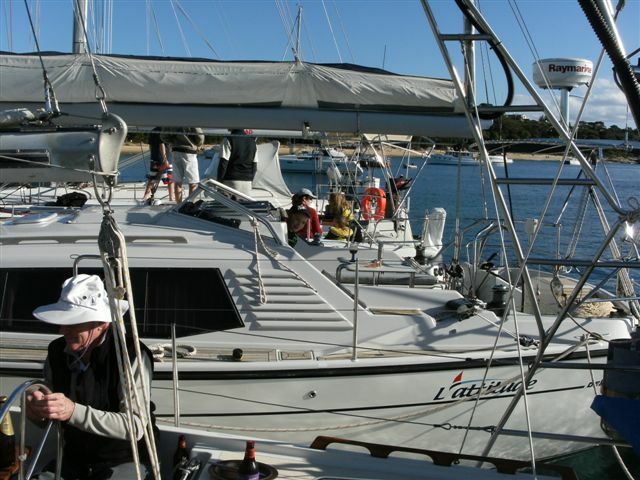 Rob Starkey will run through ‘Basic Marine Electrics and Troubleshooting’ and make your sailing experience that much easier! The CYCA’s bar and bistro will be open on the night. 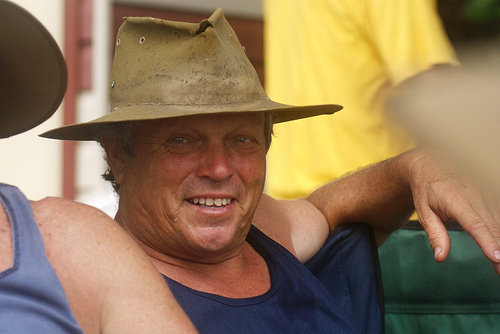 This event will be run as a "Gunnamatta Bay Classic" followed by a BBQ ashore at Elizabeth and Don Parker's home on the eastern shore of the Bay. Two buoys will be placed (Wednesday style) in Gunnamatta Bay with the start finish between the Northern arm at R.M.Y.C and the flag mast on Don's boatshed. Please contact Don on 0408 694 803 to confirm your interest. See Broadwater Classic for starting times. 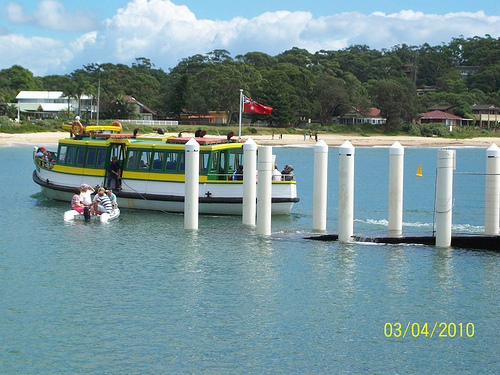 Easter Weekend at Bundeena and upriver. 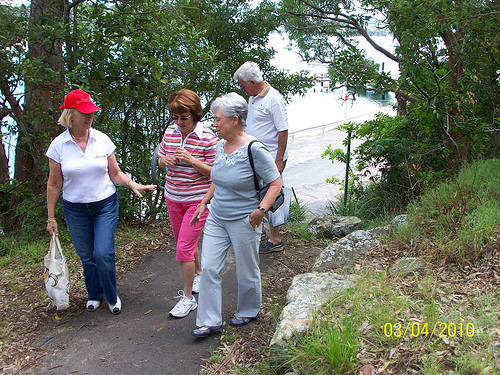 The plan is to meet at 12:30 at the Bundeena Wharf on Saturday. 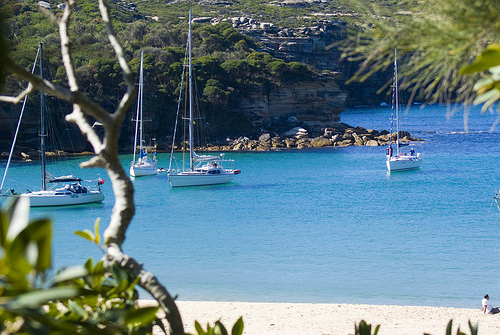 Yachts should plan to anchor around 12 noon in Gunyah Bay. 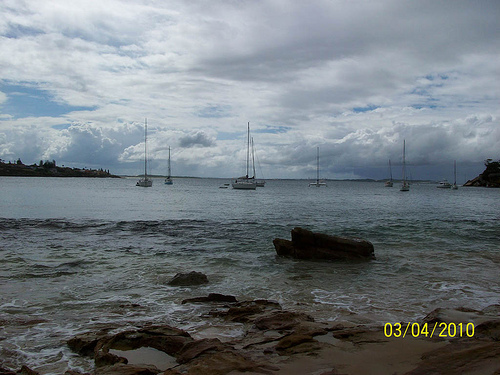 A recognisance on Friday found a bit of a joggle at La Perouse and a sea outside that would make an uncomfortable return. The Fish Cafe was very busy and the possibility of alternative anchorages limited. 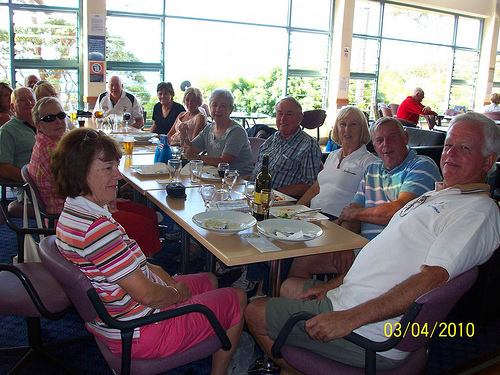 We had a good rollup on Saturday and moved to the RSL for a long lunch. 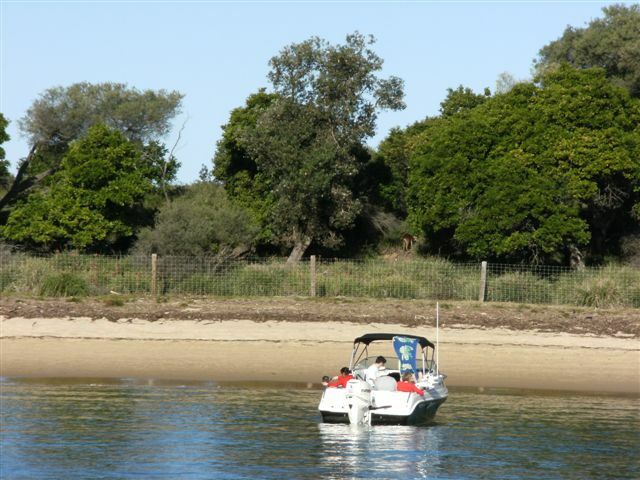 Some boats over-nighted at Gunyah beach, some at Jibbon and some returned to Gunnamatta Bay. On Sunday we moved to SW arm where a reasonably large raft-up developed. This was very pleasant and the overnight stay was much more comfortable than Gunyah. Yachts from R.M.Y.C Broken Bay will not be coming this weekend. Please support this event by replying with your interest. A Broadwater Classic commencing at Noon followed by a BBQ/Picnic at the Broadwater Yacht Club. See Broadwater Classic for course and Start times and other details of how it works! This year the theme will be "Why I love Australia". This can be told by any of the Past Years Themes or by any other new means? Even though the weather forecast was for cloudy day Australia Day came with sun in the sky. It was hot but enjoyable. Once again we have to thank Margaret and John Barter for their hospitality in opening the doors of the Broad Water Yacht Club. There was a great turnout of boats to participate in the tradition of the Broad Water Classic. Light wind and calm seas made the race very relaxing. Poems, songs and stories in the theme of Why I Love Australia abounded accompanied by the traditional Lamington, Ozzie Cup Cakes, Pavlovas and ample quantities of Brown Ale, Red Nels and cool White Wine. Once again a GREAT Day. 2009 - This year I would like the theme to be a typical Australian yarn. 2008 - The theme will be Australia with the audience participating with the readings of your favourite Australian poems, Stories or songs. 2007 - It was Australian songs. Yachts attending (16); L'attitude, MaJiKaL, Possible Dream, Melling Tinnie, Chinook, Silver Spirit, Seeka, Carpe Diem, Reflections, First Light, The Crow, Aeolus, Sweet Chariot, Hands Off, Sirocco, Pied Piper, Esprit (Passing Appearance).